We help create and work with amazing brands through design, strategy and the web. Is your company one of our next successful partners? We’ve solved problems for some incredible clients— from large multinational companies and local governments to small businesses and school districts. our overriding focus on improving conversion. 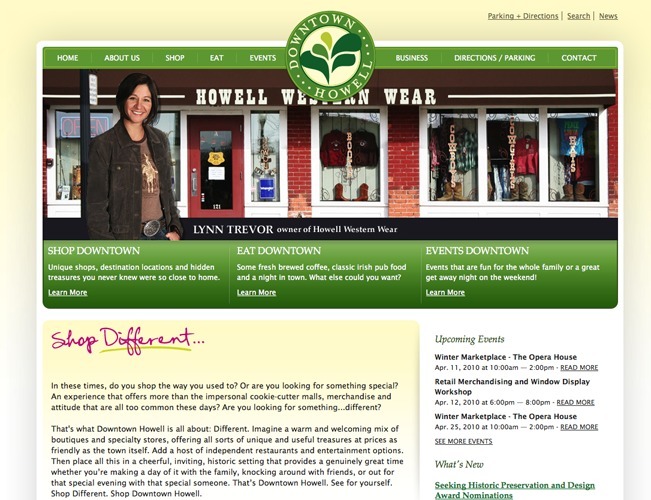 Website for the city of Howell Downtown Development Authority.